At SkinScience, we Loooovvee our Hexam cleanser. This lovely cleanser is one of our best sellers. With its ability to banish acne causing bacteria while reducing inflammation without stripping skin, it’s not a surprise we love it so much. In addition, it also happens to be gentle enough for sensitive skin, including rosacea prone skin. It has earned its status as a best seller for good reason. Over the years, we have learned a few tricks, shortcuts and life enhancing tips specific to Hexam cleanser, and we are excited to share them with you! Concerned that your makeup brushes are harbouring acne causing bacteria? Perhaps, they have lost their effectiveness? Hexam cleanser makes an marvellously effective makeup brush cleaner. It’s easy! Simply wet your brushes under lukewarm running tap water, add 1 pump of Hexam cleanser to your palm and gently massage the wet brush into the Hexam cleanser working up a nice lather, adding water as needed. Rinse clean, reshape and leave to air dry. Voila! Bacteria free makeup brush that will work like new! The next time you shower, take your Beauty Blender AND your Hexam Cleanser into the shower with you. (I know, I know, this sounds weird, but hear me out) The steam in the shower helps break up the build-up of makeup in the blender. Fully saturate your Beauty Blender with warm water. Add two to three pumps of Hexam cleanser directly to your Beauty Blender, squeeze to active the cleanser and work it deep into the Beauty Blender. Now, let it sit off to the side in the steam while you wash your hair or shave your legs etc. Once you are done your in-shower grooming, pick it back up and work the cleanser through the sponge a few more times, now while holding it under the running water continue to work the cleanser through, while rinsing out the cleanser. This may take a few minutes. Once you see only clean water coming out when you squeeze, you are done! If you haven’t been cleaning your Beauty Blender regularly, you may need to repeat the whole process again. Hexam cleanser also makes a perfect leg shaving cream for sensitive skin. It provides glide, as well as a much-needed anti-inflammatory boost that sensitive skin needs! 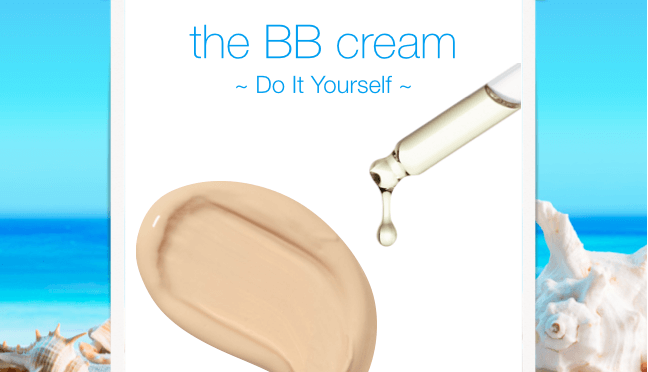 Simply pump one or two pumps into your hands, emulsifying together and apply to area to be shaved, then shave. Easy peasy! All women know that their external “delicate areas” should not be exposed to heavily perfumed or harsh cleansers, and finding the right cleanser for this purpose can be a challenge. So many on the market designed for this area are created with irritating perfumes or harsh chemicals (and frankly, who wants to smell like cheap imitation perfume down there anyway!). Once more, Hexam cleanser to the rescue. Cleansers should never be used internally of course (best to think of it as a self-cleaning oven!) but we have found Hexam cleanser to be a gentle and effective external cleanser for our “delicate” zone. We are NOT physicians, and we do not make medical recommendations or diagnose. Sometimes though, we have great experiences we LOVE to share. This one is one of these. One of our long-standing staff had an emergency c-section. After having two close friends deal with painful infections in post caesarean incision sites, she decided to use the Hexam cleanser to clean the area directly around her incision (this was compliant with the instructions she was given at the hospital). Upon 4-day review, the surgeon was impressed at how well it was healing. She of course explained the Hexam to her Dr, who at that point gave approval for direct application of the emulsified cleanser to the healing incision, and she was able to avoid anything even close to an infection. Now, obviously, this is one person’s story, and you our dear reader should of course always discuss your medical needs with your doctors. We share, because it is one more reason we LOVE Hexam cleanser and all the ways it makes our lives better! Summer is time to enjoy the sunshine (responsibly of course, with lots of SPF). Not one of us wants to be cooped up in doors a minute more than work and chores require. We all would rather be on the patio, bevy in hand, defrosting from the long winters. Not much is more re-warding than days at the lake, afternoons in the garden, hikes through the mountains, and BBQ’s with friends. However, with all this summertime fun, where do you fit in your skin care? We know that treatments maintain youthful appearance, prevent acne and aging and oh so much more. But it is still sooooo hard to peel yourself away from this lovely summer life and get yourself in to the clinic. Fortunately for you, we have an answer! Our ultimate summer hack; Mini Treatments! We created our mini treatment menu a few years ago, specifically with our clients’ busy lifestyles in mind. 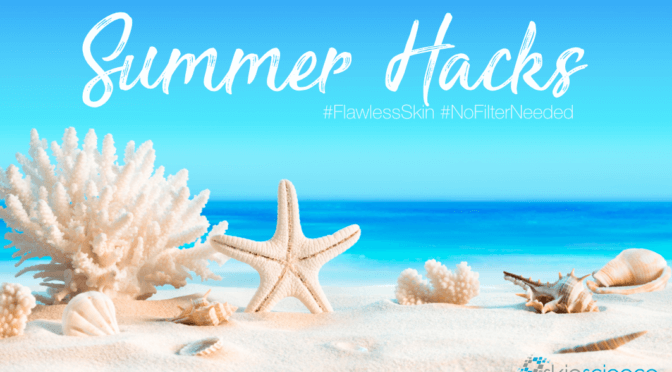 Every summer we re-visit them, as a way to remind busy clients that they don’t have to dedicate hours and hours to maintain their glowing skin. We have three basic mini treatments, each with the ability to customize for your specific skin type! This 30-minute treatment is only $75. It leaves you feeling smooth and bright and ready for a night out on the patio! Makeup applies more smoothly, the products you use at home work better, and you glow glow glow! You will notice results almost immediately. Mini Peels can be done after a Mini Dermaplaning or on their own. At an affordable $75, it can help prevent clogged pores and acne triggered by summer heat and extra SPF use. We can target brown spots as well as fine lines, with options for all skin types, you are sure to be pleased with this 30-minute delight of a treatment. What better way to relax after a hot summer day than a facial! Our 45 min Mini Facials are only $99 and with options for dry skin, acne prone skin and dull aging skin we are certain you will find a quick pick me up you are sure to love! Mini facials are awesome on their own or boosted when combined with a Mini Dermaplaning! We would love to help you find the Mini Treatment that gives you exactly what you want! Don’t wait for fall, book now for your summer Mini-Treatment and keep the glow going! Here in Calgary, the arrival of summer is such a relief! The winter is finally gone, and with it some of the horrendously dry air that we struggle with through the many cold months. It is our time to shine and glow! 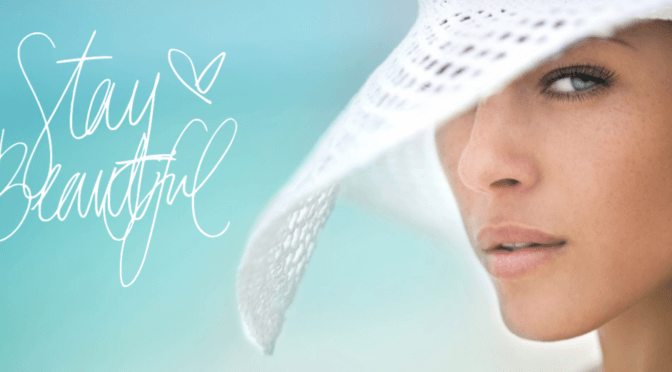 Here is a review of lessons learned in summers past, to ensure you have the best skin ever! Mineral Sunscreen is naturally water and sweat resistant. If you have been in the clinic, then you have heard us tout the many benefits of mineral sunscreen. Its anti-inflammatory and non-friendly to bacteria. But we often forget that it is also a great product to wear around the water or when exercising outdoors. The best part is even with its natural water and sweat resistance, your skin can still breathe which means unlike its chemical counterparts it won’t clog pores. (When compared to many water resistant or sweat resistant chemical SPF products) It’s important to remember, as Health Canada guidelines state, that no SPF is water or sweat “proof”. You will always need to reapply 15-20 min after exiting the water, some products just hold up a little longer/better when exposed to moisture. Clay Masques keep pores clear. With the increase in temperature, we usually see more active sweat and sebaceous glands. A weekly clay masque treatment can help reduce how quickly pores appear and or get clogged. 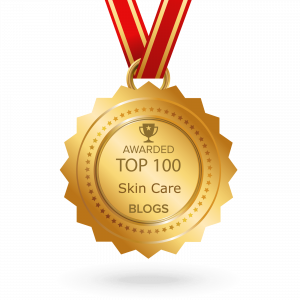 Our two favourites are SkinCeuticals Clarifying Clay Masque and Patchology SmartMud Masque. SkinCeuticals Clarifying Masques is ideal for the T-Zone, it draws out unwanted impurities and oil. The Patchology SmartMud NoMess Mud Masque is very anti-inflammatory and its individually wrapped treatments are perfect for travel! Water, water, H20 and more water. Get in your 8 glasses a day. Your skin will thank you. (As will the rest of your body) In addition to drinking your water, make sure that you have the RIGHT skin hydrators for this time of year. Often times, our winter products can be too heavy creating clogged pores and breakouts, and skipping the hydration step completely leads to dehydrated skin that is now more oil prone as your skin tries to compensate for the dehydration. There are several lightweight summer options that will give your skin the drink it needs! Don’t forget your chest and neck! You’ve spent enough time with us now, that you dare not leave the house without ensuring your face is adequately protected. But this is a reminder to also care for your décolleté (chest and neck). This often forgotten about area is in need of some care too! At the very least, make sure each time you apply SPF to your face, you extent the application just a bit further. Your future self will thank you. Make Audrey Hepburn your fashion idol. Specifically, the iconic photo of her in the large sunglasses and large brimmed hat! Investing in a fabulous pair of large sunglasses and cute large brimmed hat will only help the effectiveness of your SPF. Wearing a large set of sunglasses will help protect the delicate eye area. UVA and UVB rays are particularly effective at damaging this area, exposure will damage collagen leading to wrinkles and sagging skin(bags) as well as brown spots. A large brimmed hat, can protect your entire upper body (depending on the size of the brim). So, channel your inner Audrey the next time you are at the beach!